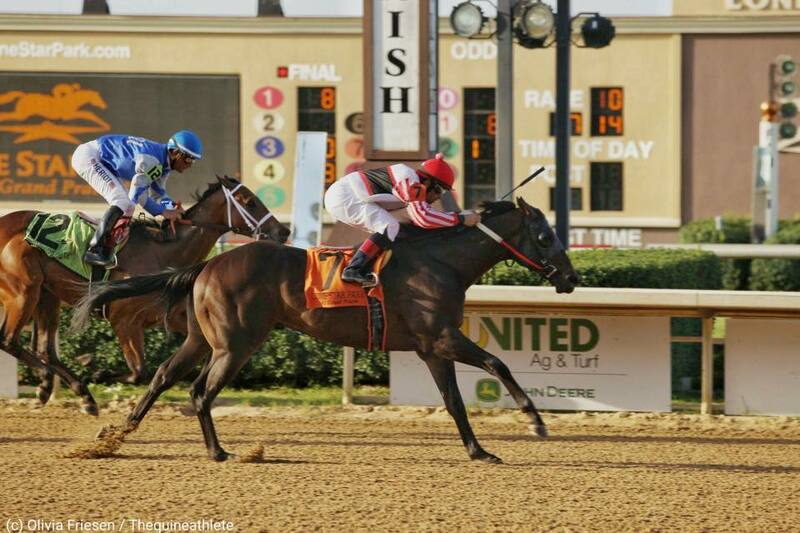 Congratulations to all the winners from Stars of Texas Day at Lone Star Park. Check out the photos below for details on the connections of each winner. You can click on any photo to view a full size version. All photos by Olivia Friesen. 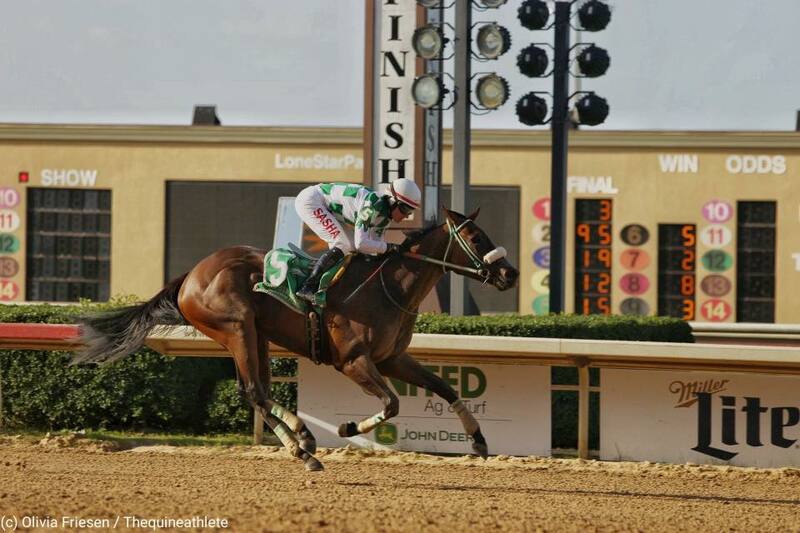 WAKEFIELD (Munnings – Proudtobeajones, by Seneca Jones) wins the colt & gelding division of the Texas Thoroughbred Futurity. Owned by Jerry Namy, trained by Karl Broberg, ridden by Richard Eramia, and bred by Nathan Wallis. 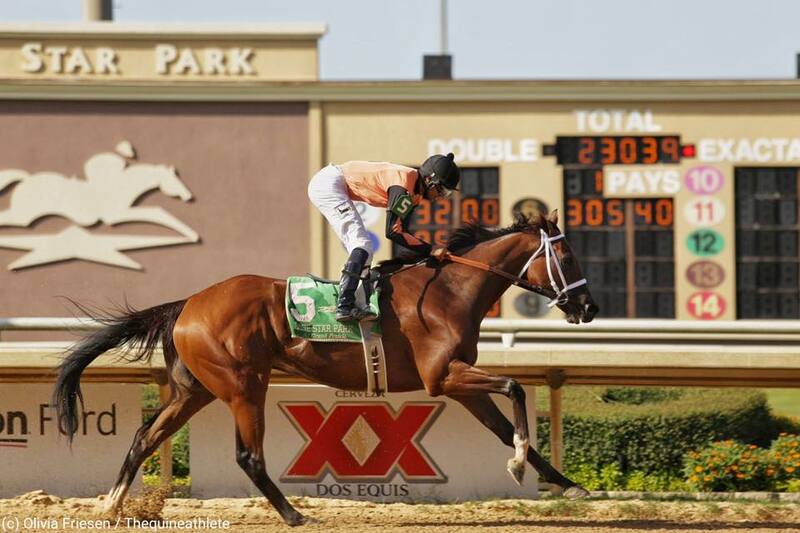 BRAVE DAISEY (Hidden Blessing – Brave Vixen, by Formal Gold) wins the Valor Farm Stakes. Owned and bred by Peter Varga, trained by Tina Hurley, and ridden by Sasha Risenhoover. ADVENTUROUS LADY (Kantharos – Ari the Adventurer, by Pioneerof the Nile) wins the filly division of the Texas Thoroughbred Futurity. 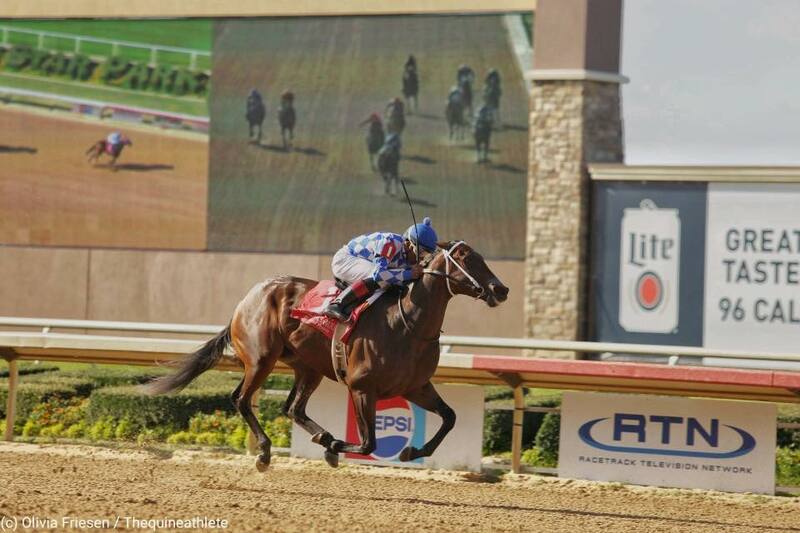 Owned by Jerry Durant, trained by Steve Asmussen, ridden by Ricardo Santana, Jr., and bred by Stonestreet Thoroughbred Holdings, LLC. SUPERMASON (Grasshopper – Folksy, by Midway Road) wins the Assault Stakes. Owned by Brad Grady, trained by Bret Calhoun, ridden by Lindey Wade, and bred by W. S. Farish & E. J. Hudson, Jr. Irrevocable Trust.